I have decided to change the format of the blog. I have had troubles getting posts up do these will be quick and short more of a celebration of what is happening in my life. Fall this year has been nice and warm with dry weather. 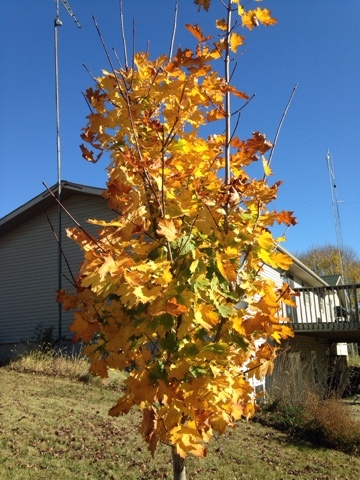 This is a photo of a tree we planted when we moved to the farm. Very nice colors indeed!